Due to recent issues with POLi payments we have had to implement additional measures to ensure we can maintain a stable banking relationship. What this means is that any customer that goes through our automated Digital ID verification system will be granted level 1 verification. As a level 1 verified customer you will have full access to make deposits via bank transfer and all other features except for the use of POLi. If you would like your account upgraded to level 2 verification please send us a message via our live chat. We will need to call your registered mobile number and go through some additional verification checks, this whole process will only take a couple of minutes. Once your account is upgraded to level 2 verification you will have full access to use POLi. Please note that all first time POLi deposits still have a small delay as we wait for the funds to arrive into our bank account. Once we have received a successful deposit from you all future POLi deposits will be instant. How to check what verification level I currently am on? We understand that these changes can be inconvenient for some customers and we will work as fast as possible to increase your verification to level 2 if you send us a message via our live chat. We are also currently exploring other deposit methods such as credit card / debit card as well as the use of the real time payment network. This will potentially allow for faster deposits without the need for additional verification checks. 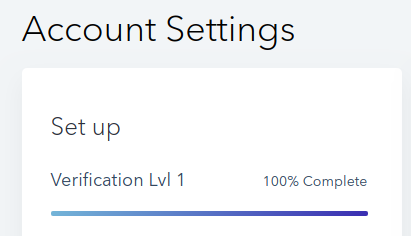 Some customers have already been upgraded to Lvl 2 verification. If you are having issues you may need to clear your browser's cache, if your not sure how to do that please contact us for assistance.